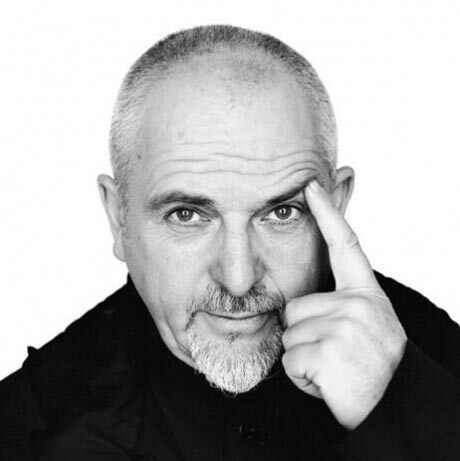 Peter Gabriel Reaches Out to Pakistan Flood Victims via "Open Your Eyes"
Legendary singer and humanitarian Peter Gabriel isn't happy about how the world has reacted to the floods in Pakistan. It's been a couple of months since floods ravaged the country in the summer, but millions of habitants are still displaced due to the natural disaster. Believing that not enough has been done by the global community to help the people of Pakistan, Gabriel has teamed up with singer Salman Ahmad to raise awareness of the situation. An English version of Pakistani artist Ahmad's "Open Your Eyes" features Gabriel's pipes. The song was released earlier this week to raise funds for the ailing country. All proceeds will go to the SSGWI flood relief campaign for Pakistan, which was founded by Ahmad and wife Samina. In an interview with CBC Radio, Gabriel chastised how the world has turned its back on the country, possibly due to fears of terrorism. "This is a huge tragedy and maybe because of the worst association [with] terrorism with Pakistan there's been a pathetic response," Gabriel said of the situation. "These are people suffering in extraordinary ways and I think we've failed terribly." The artist knows that one song is not enough to make a difference, but he hopes that some attention will be brought to Pakistan's unfortunate current conditions. Hopefully world governments will respond to the charitable call. "It needs more than just one song, it needs government action too. There are dangers for the West, besides the lives involved. To cold shoulder Pakistan in a time of need is not a strategic political move," he said. You can buy "Open Your Eyes" now on iTunes .